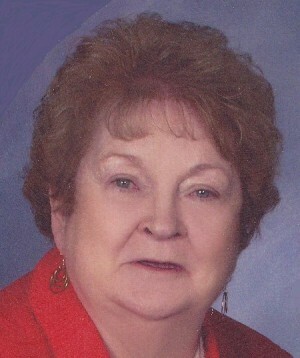 FULTON, NY – Ruth M. Greco, 76 of Granby, went to be with her Lord on Thursday May 31, 2012, at Community General Hospital in Syracuse. A native of Merrimack, Mass., she had resided in the Granby-Fulton area since 1965. Ruth retired in 1995 from Nestle Company in Fulton after 28 years. She had attended the Fulton Alliance Church in Fulton. Ruth was predeceased by a sister, Joyce Huntress, of Exeter, NH. Surviving are: her husband, Vincent “Dan” Greco of Granby; a son, Fred Craig of Fulton; three daughters, Darlene Dickquist of Utah, Louise (Ron) Rombach and Laura (Mark) Stacy all of Fulton; a step-daughter, Anne Marie Greco of Massachusetts; a step-son, Christopher Greco of Newburyport, Mass. ; four sisters, Eleanor Childs of Pelham, NH, Shirley Jones of Merrimack, Mass., Bernice Ordway of Fulton and Phyllis Fanning of Beverly, Mass. ; a brother, Henry Craig of Exeter, NH; nine grandchildren; three great-grandchildren; and many nieces and nephews. Services will be private and there will be no calling hours. Memorial contributions may be made to Fulton Alliance Church, 1044 State Route 48, Fulton, NY 13069.